Raymond James Irwin, the newest board member of the Fair Oaks Recreation and Park District, at Fair Oak’s annual Chicken Festival in Village Park. Photo provided by Raymond James Irwin. FAIR OAKS, CA (MPG) - Rayond James Irwin is the newly elected member of the Fair Oaks Recreation and Park District (FORPD) Board. At 27 years old, Irwin is one of the youngest people to be elected to the Board. Irwin said he is “excited, thrilled that Measure J passed.” He is looking forward to the good that the money can do in the community. He said, “Residents saw the need for that…They’ll be paying a little more, but putting so much into the community.” He is eager to see a rec center built, and for the updates to Village Park and Plaza Park. Irwin also wants to see the Fair Oaks Clubhouse—which is currently a 1930s mission-style building atop a steep hill—updated for better ADA compliance. “I would also like to champion WiFi in the parks, which we could turn off at sunset to ensure it’s being used properly. Parents these days work very hard, and sometimes work very different hours. I don’t want them to miss their kids’ games because they have to work. I want them to be able to bring their laptop to the park so they can do both,” said Irwin. Irwin is a graduate of Jesuit High School. From there, he entered the conservatory to study opera. Irwin said he loves to sing and has performed in Italy, France, and Canada. And although he enjoyed his time abroad, he wanted to come back home to the Sacramento area. 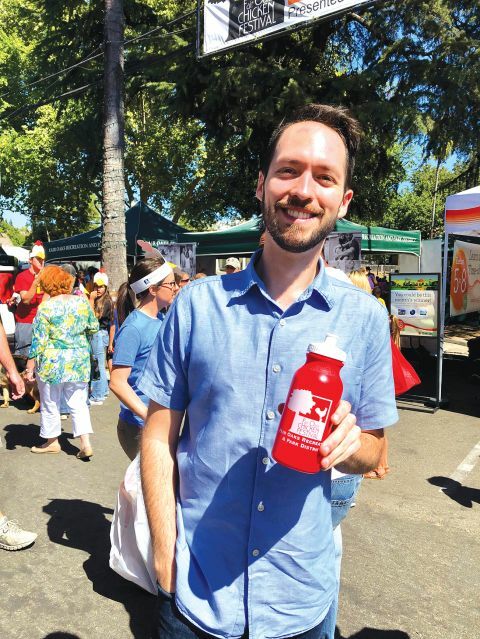 While getting his degree in opera, Irwin also minored in marketing, which he said enabled him to “speak both languages.” He worked for the Sacramento Philharmonic Orchestra overseeing the daily operations of their marketing communication. He initiated live tweeting during performances, which led to Sacramento Philharmonic Orchestra trending both locally and nationally.